Here's another Jordana item I've never tried before. 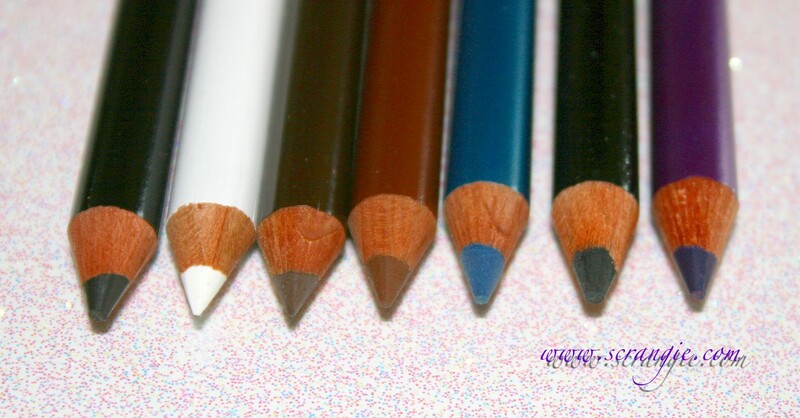 It's their 7" Eyeliner Pencil. 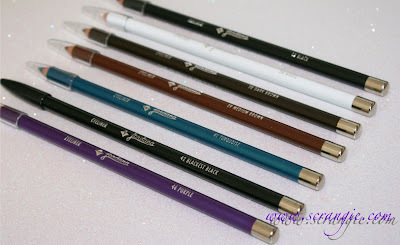 The have a pretty wide variety of eye pencils, but this is the biggest and the cheapest at only $1.29 each. But, is cheaper really better? In this case, no. Cheaper is not better. Cheaper is very much not better. Only one of those claims is true. Can you guess which one? I don't have much else to say about these, so I'll just give a quick rundown. Hard, sharp pencils can really hurt the eyes. Severe tugging on the lid occurs when applying. 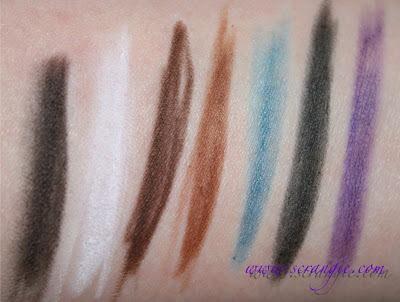 Sticky, waxy formula once you have enough on your eye for the color to show up. Not blendable or smudgeable, very sticky and stiff feeling. Cheap wood barrel splinters and can harm eyes. In all honesty, these are not good at all. They're unusable. 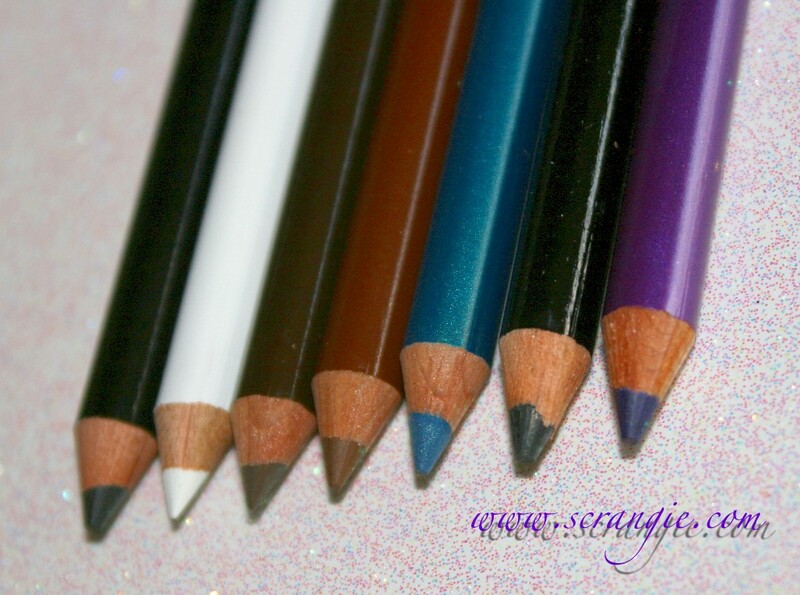 I actually really irritated the skin on my arm from swatching these hard, sharp, scratchy, pigment-less pencils. I don't recommend them and despite the super low $1.29 price tag, I would not even pay that little amount for these. 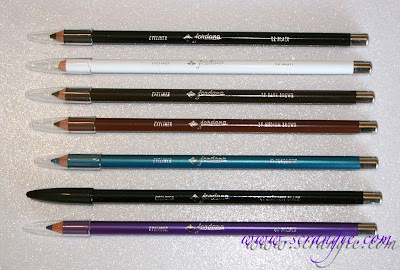 If you're looking for an inexpensive drugstore eyeliner pencil, my favorite is the Milani Liquif'Eye line. They're soft and silky, never tug, are waterproof when dry, are super pigmented and absolutely a steal at $8. I know that $8 is much higher than $1.29, but those are truly worth every cent. Thanks for this review, this pencils are out if my mind right now. Appreciate your honesty in reviews. I can't stand real hard eye pencils; they're downright painful. I have tried that Milani eyeliner @ your suggestion...I think you would be pleased w/my current eyeliner tho...Wet N'Wild @ only 99 cents..decent quality I think! Good to know! I think even Wet N' Wild might even be better than what you've described here. Wow, thanks for the honest review. 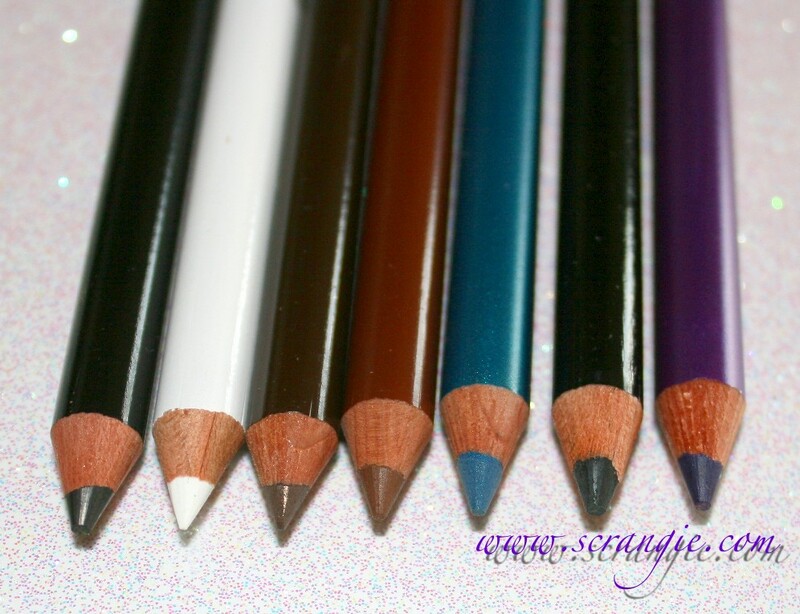 I've been looking into trying colored pencils, and I now know what to avoid. Eyeliner is one thing I won't go cheap on. That and foundation. 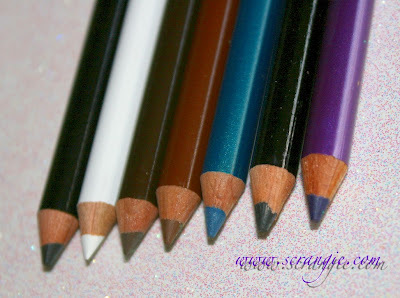 My favourite coloured pencils are Urban Decay's. Question...do you know of a brown eyeliner that works great in the waterline? Damnnnnn! These sound terrible all around. Thanks for the heads up. You've saved so many people money on something that seems so crappy! 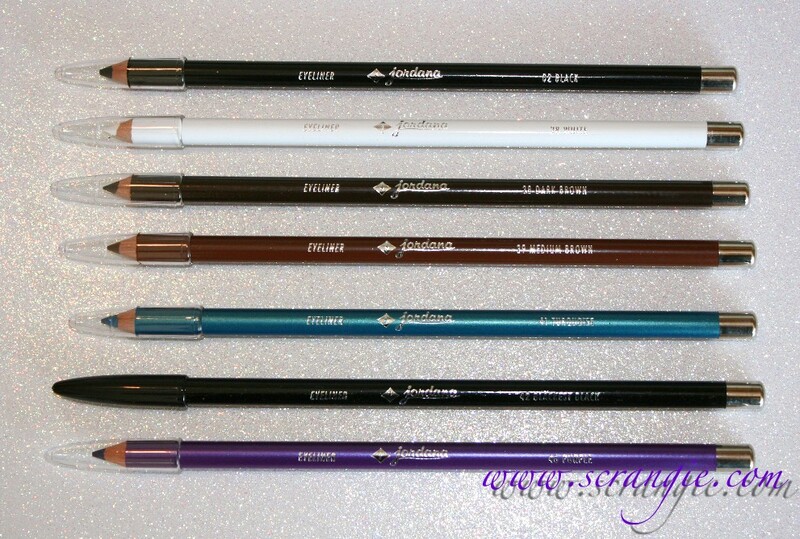 I won some free Jordana eyeliners from their facebook page and I really liked them. They are the twist up type, not the pencils. You might want to check them out - they were silky and didn't tug the skin. I've used these on my brows for years because they aren't overly pigmented. If you warm them up a little first they work much better, but Milani is much much better.